This was a totally enjoyable police procedural. Many new wrinkles based on current science. The narrator's style fit the personality of the main detective, and he was good at representing other characters. I enjoyed the plot and its twists as the several lines of investigation moved along. I could nit-pick about a few character inconsistencies, but I had just too much fun listening to worry about them very much. Looking forward to more from this author and narrator. 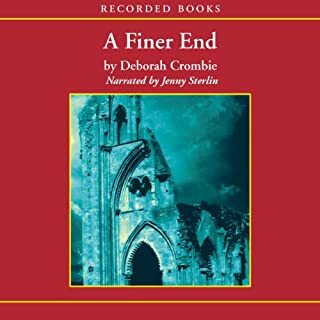 At first, some of the reader's mannerisms were distracting and I almost stopped listening, but as the story developed the narration even out and I think Cronin did a credible job, except for a few of the women's voices. All in all, it was a great story, but there were a couple of inconsistencies that still leave me scratching my head. I found the main character Gibson Vaughn to be a likable hero and the plot twists intriguing enough so that I want to hear more about him. 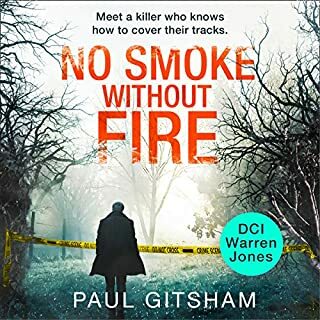 Two spellbinding mysteries, one contemporary, and one ancient - that will challenge Superintendent Duncan Kincaid and Gemma James as no case ever has. Glastonbury is a town revered as the mythical burial place of King Arthur, and, according to New Age followers, a source of strong Druid power. Something terrible and bloody shattered Glastonbury Abbey's peace long ago - and now it is about to spark a violence that will reach forward into the present. I was fascinated by the interweaving of historical facts, centuries-old myths, and new-age interpretations with traditional detective story elements. Next trip to the United Kingdom will definitely include Glastonbury! On the whole, however, I got tired of jumping from one plot line to another, particularly towards the end. I agree with those who have found the narrator somewhat lacking. She was perfect for the historical voices and descriptive passages, but not for the present-day male voices and general dialogue. Awesome! More in this series, please! Although this book is the second in a trilogy, it can stand alone on its own merits. 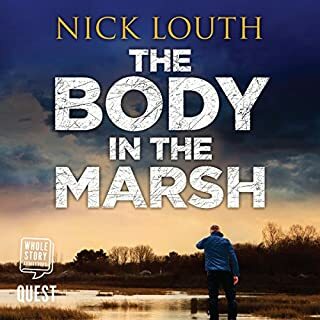 The author, assisted by Peter Forbes' sensitive and compelling narration, successfully navigates between the past and the present, creating suspense as the various layers of the mystery are revealed. While the story and characters are the main drivers of the action, history and customs form an interesting backdrop to the plot. They actually play a role in solving the mystery. 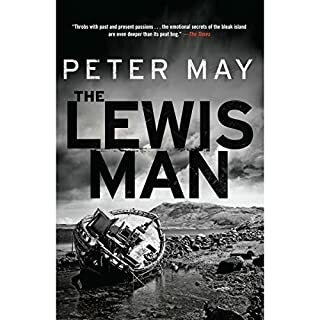 Peter May never becomes pedantic when providing insight on governmental/church policies, island politics and the rugged lifestyle of the people of the Outer Hebrides in the not-too-distant past. Where are books 1 and 3 in this trilogy? (The Black House, The Chessmen). At the time of writing this review, all I can find is in German! More, please, from Peter May, in English. Often compared to both Ruth Rendell and P.D. 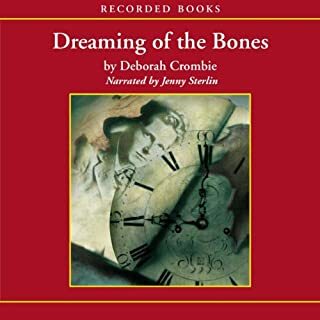 James, Deborah Crombie is internationally acclaimed for her deftly written mysteries that combine suspense, with lyrical prose. Sharply etched characters further enrich this story of tangled relationships and dark secrets. Twelve years after their divorce, Scotland Yard Superintendent Duncan Kincaid receives a phone call from his ex-wife Victoria asking for his help. Wonderful imagery and good character development. It must have been fun to write the poems and letters that provide the clues to the solution of the crime(s). A new take on the idea of looking for hidden meanings in poetry! At first I was really disturbed by the narration. Then I read the reviews and found others have commented on the exasperatingly slow pace. 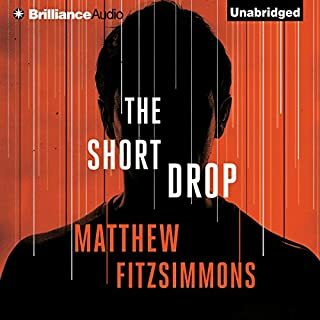 I tried putting the speed of play up to 1.25x -- one of the benefits of using Audible's phone apps. (I haven't figured out how to do this on my computer yet.) At the new speed the narration was delightful. Jenny Sterlin came across as a sensitive and accomplished performer. Could there have been a technical problem with the original recording? In any case, I will continue to listen to this series, no matter who is the narrator!